Canmore, Alberta is a vibrant Rocky Mountain resort town of 12,000, located one hour west of Calgary and 20 minutes southeast of Banff, where Olympians come to train and an international stream of visitors come for all-season adventures. 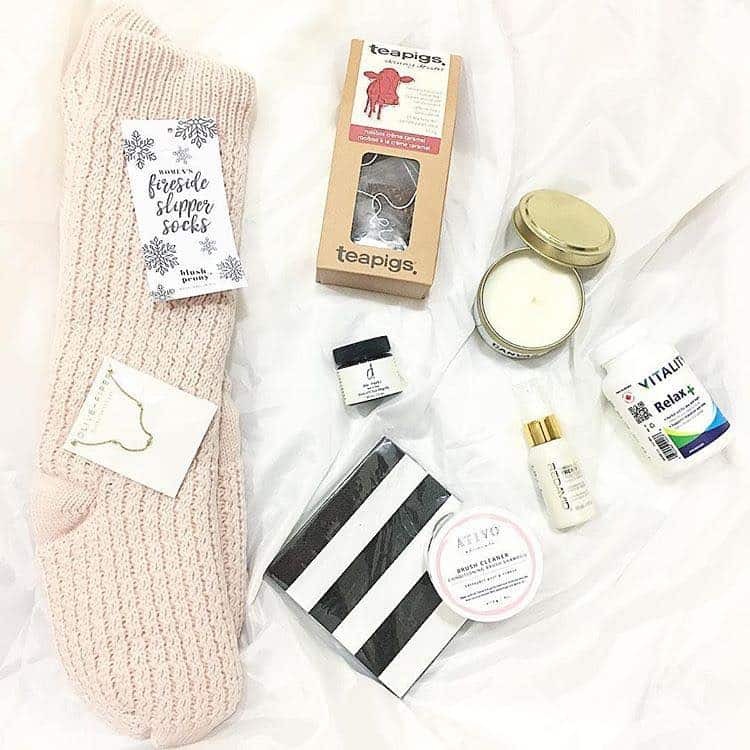 Aside from its acclaim for winter sports like cross-country skiing, biathlon, snowshoeing and backcountry skiing, Canmore is an emerging wellness destination that offers everything from yoga, Pilates and barre fitness to TRX, CrossFit and spin classes, as well as a wide range of culinary experiences with its more than 70 restaurants. 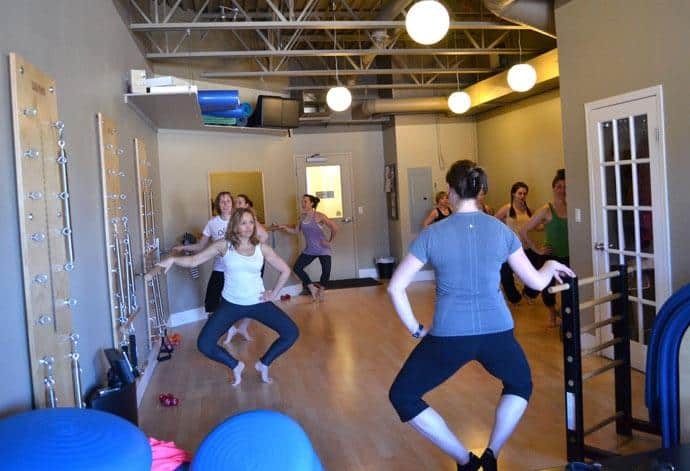 Re:focus Pilates (pictured above) is a boutique fitness studio located on Canmore’s Main Street in a light-filled loft. 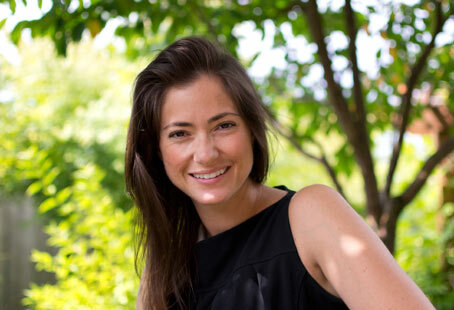 Owner Melissa Semenek, who makes her ballerina-tough classes surprisingly fun, is a former professional dance and registered massage therapist, and is certified through Stott Pilates and Booty Barre. 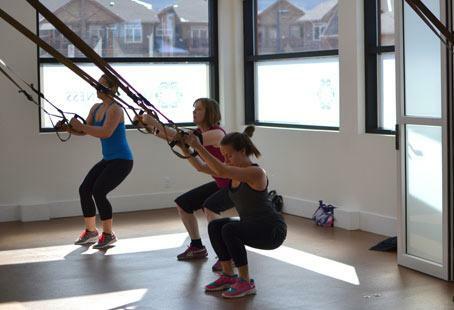 Re:focus offers half a dozen barre fitness classes and a dozen Pilates classes per week, with a maximum of seven participants, as well as private and semi-private sessions. The Canmore Nordic Centre, built for the cross-country skiing and biathlon events at the 1988 Calgary Winter Olympics, has over 65 kilometres of cross-country ski trails, 6.5 kilometres of which are illuminated for night skiing, all suitable for both classic skiing and skate skiing at all levels. The facility has nurtured numerous Olympians, including hometown hero Sara Renner, who won silver in the women’s team sprint event at the 2006 Turin Winter Olympics. Trail Sports is located onsite and offers both rentals and lessons. 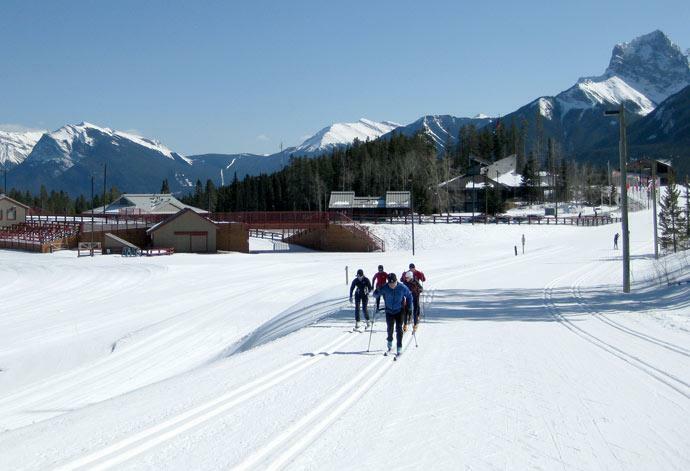 The Nordic Centre opens for ski season in mid-October and remains open until the end of April, weather permitting. One Wellness and Spa, located in the Solara Resort, is a combination modern fitness facility and full-service spa. Drop in for an exercise class in the movement studio, book a private personal training or Pilates session, or work out on your own in the bright space featuring functional training equipment like free weights, pulley systems, TRXs and cardio equipment. Drop-ins and members also gain access to the spa’s co-ed steam and sauna circuit, and relaxation lounge featuring complimentary flavoured water, tea and fruit. 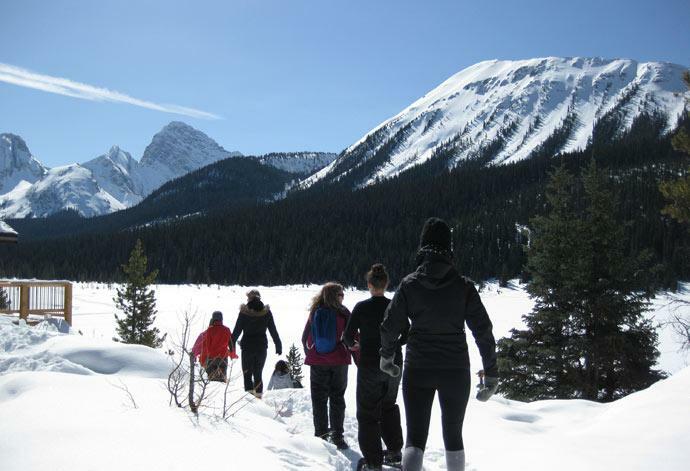 Offering full and half-day guided snowshoe adventures, Inside Out Experience heightens your invigorating winter workout with interpretive insights on the cultural history of the area and the natural elements that surround you when you venture into the backcountry surrounding Canmore. Your wilderness first aid certified guide will fit you with all of the necessary equipment, and shuttles are available to get you to and from your excursion’s starting point. Snowshoeing adventures run from November until April, weather permitting, and Inside Out's rafting season starts in early May. Canmore’s brand new Elevation Place, set to achieve LEED Silver designation (a benchmark in sustainability), has an aquatics centre, climbing gym, cardio and weight room, and group fitness classes, and is also the new home of the Canmore Public Library and the Canmore Art Guild, a community art gallery. The aquatic centre boasts a waterslide, lazy river, leisure pool, 25-person hot tub, and 25-metre lap pool with eight lanes, while the massive climbing wall has all sorts of unique nooks, crannies and caves to make you feel like you’re in the great outdoors. The fitness centre overlooks the aquatics centre and features brand new cardio and strength training equipment, and offers over two dozen fitness classes. The Paintbox Lodge is owned by Olympic cross-country skier Sara Renner and her husband, World Cup alpine skiing champion Thomas Grandi, both decorated athletes who love to celebrate life with friends, food and drink. 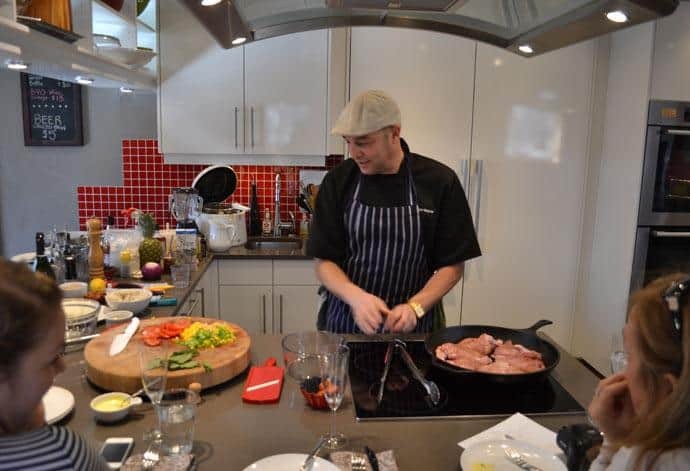 Their love of celebratory sustenance is evident in their gorgeous Miele-sponsored kitchen, which serves as a demonstration-style teaching space where principal chef George Bayne (pictured above)from Canmore Organic Chef narrates as he cooks, while guests sip wine from bright red bar stools at the kitchen counter. The Market Bistro is open for breakfast, lunch and dinner, which you can enjoy in its lofty dining room or on its scenic patio, both fully licensed. For lunch, try a delicious panini (like its Albertan, with roast beef, seasonal vegetables, horseradish, and cheddar cheese), or one of its European-style pizzas (like the gluten-free flatbread pizza with sun dried tomato pesto, green peppers, and mushrooms) – or grab some takeout, or groceries for later from its retail area. 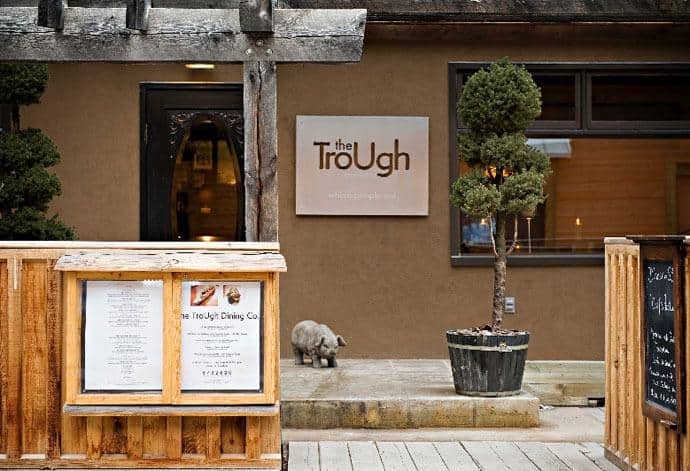 Dinner at The Trough Dining Co. Step into Tapas Restaurant and you’ll be transported to an intimate Spanish-style dining experience with intoxicating flavours, including Tapas’ special-recipe sangria. Choose from a long list of hot or cold dishes like the beef carpaccio with fried capers, lemon aioli and Manchego cheese, or the brie-stuffed portobello mushroom with baked with pears, pecan crust and tomato-herb oil, and be sure to check out its decadent dessert menu featuring pot au chocolat with caramel sauce and vanilla ice cream, and raspberry mint creme brulee with fresh whip cream. 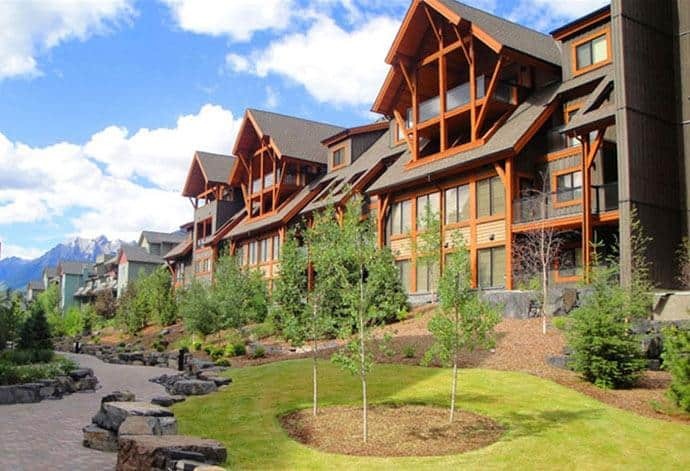 Enjoy all of the comforts of home – likely better – at Solara Resort and Spa(pictured above), Canmore’s luxury resort with 214 suites featuring gourmet kitchens complete with wine fridges, scenic patios with dining tables and BBQs, and indulgent bathrooms with six-jet massage showers. Guests receive complimentary wireless internet and movie nights in the 96-seat Aurora Theatre, as well as access to the hot tub and kid’s water play area. Be sure to take advantage of complimentary access to One Wellness and Spa’s fitness centre for an invigorating workout, or treat yourself to a rejuvenating treatment at the spa. Nightly rates start from $139. The Paintbox Lodge incorporates the best of what owners Sara Renner and Thomas Grandi experienced while staying in European lodges on the international cross-country and alpine ski racing circuits. The boutique hotel has five rustic rooms with locally sourced décor, and invites strangers to become friends over complimentary breakfast at the harvest breakfast table, afternoon coffee around the Miele coffee station, or at one of the demonstration-style cooking classes and dinners (for an additional fee) held in the state-of-the-art Miele teaching kitchen. Nightly rates start from $159 and include Wi-Fi. 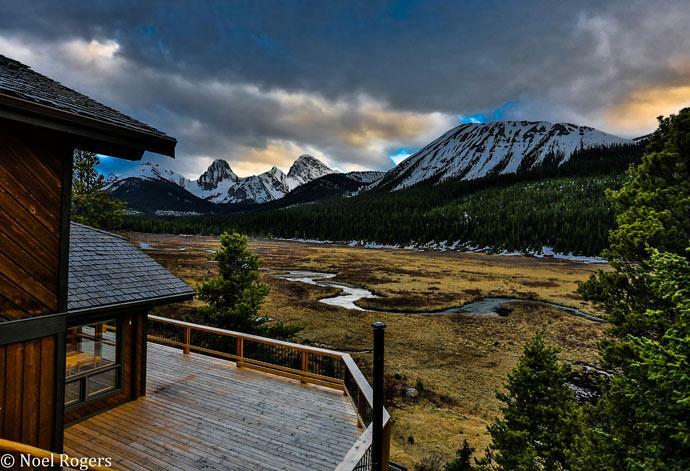 Located an hour south of Canmore, Mount Engadine Lodge’s remote location offers quiet solitude while the surrounding wilderness holds ample opportunities for outdoor adventures and wildlife sightings – including the numerous moose that frequent the aptly named Moose Meadows. 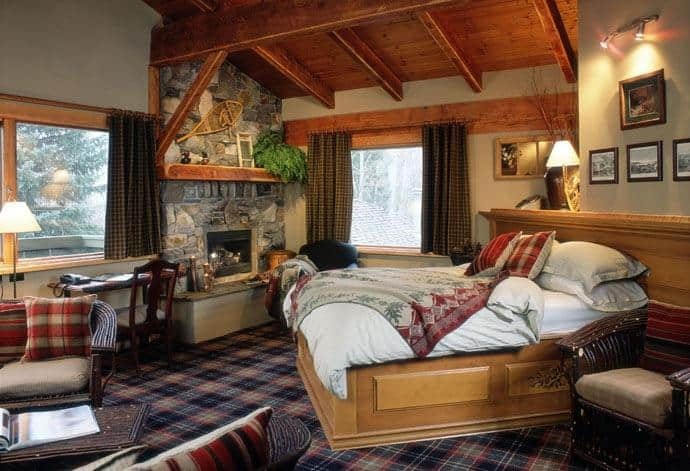 Chances to connect with other guests at the eight-suite lodge occur around one of two crackling fireplaces, in the family-style dining room, or on the massive wraparound deck overlooking the meadows and breathtaking mountainscape beyond. Nightly rates start from $185 and include three hearty, home-cooked meals plus a delectable buffet-style afternoon tea. 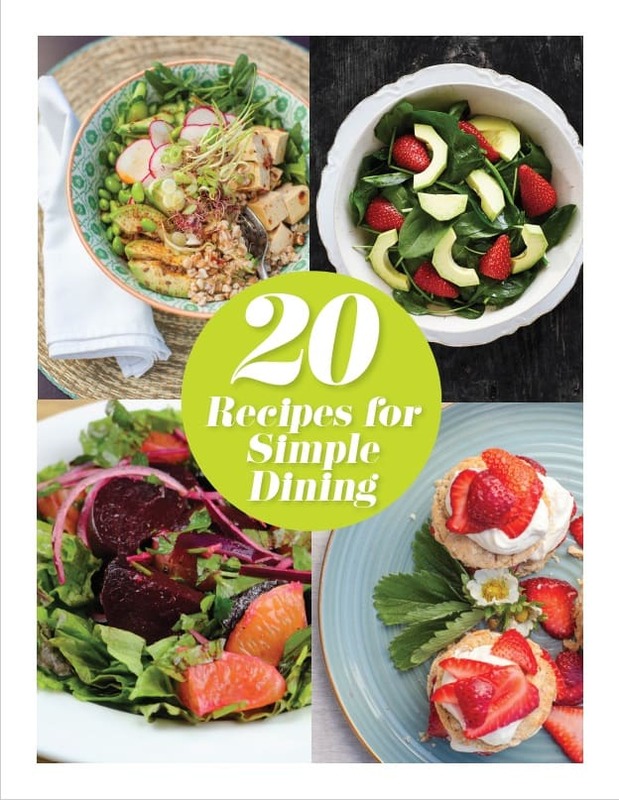 Tea and dinner is also available by reservation for drop-ins.